DANG!!!!!! You must have some high fences!!!! Just kidding. 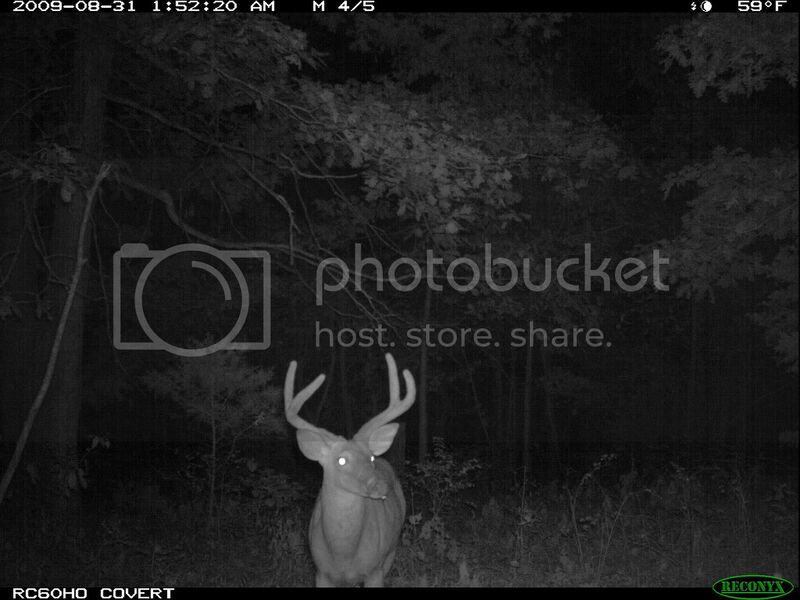 Looks like your going to have some good hunting at your place this year. Pete put one of his camera up in a new spot about three weeks ago and last week he checked it and had like 45-60 pictures on it but he said they were mostly all does. Looks like you have a good heard of bucks on your place. I have thought about putting feeders out on the farm where I hunt during the winter, spring and summer then stop feeding in the fall. 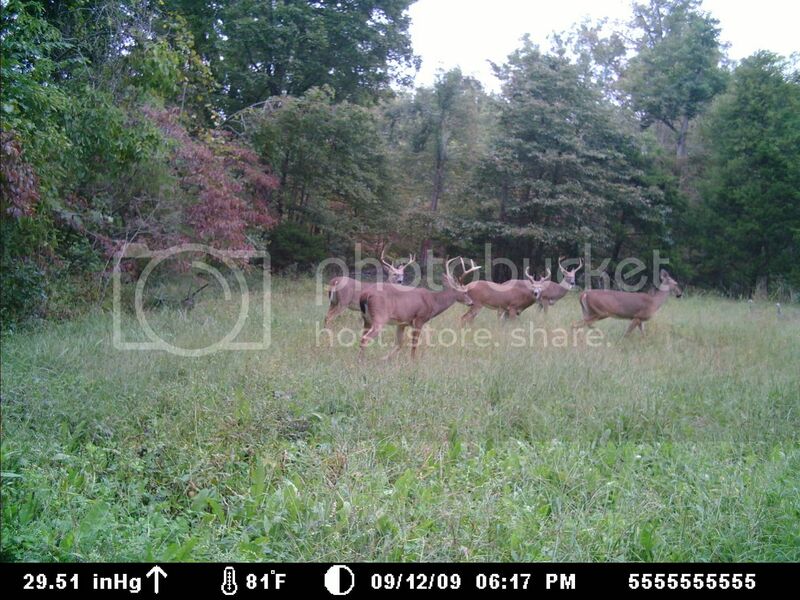 But really havent looked into it strongly, Ive noticed that there is a herd of deer hanging around the farm from all the rumors i have heard which is a good thing. I think all the mineral sites, and food plots are finally paying off!!! Really, really great pics Shannon ! 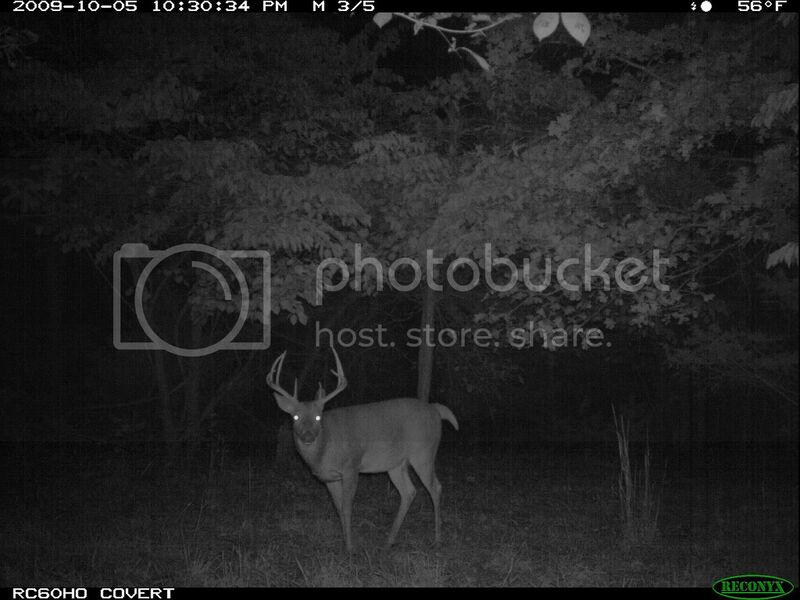 If Arkansas opened its bow season on Sept. 15th like a few other states then the odds of getting one of the bigger bucks would be much better....But by Oct.1st the bucks begin to disperse or they only come in at night. 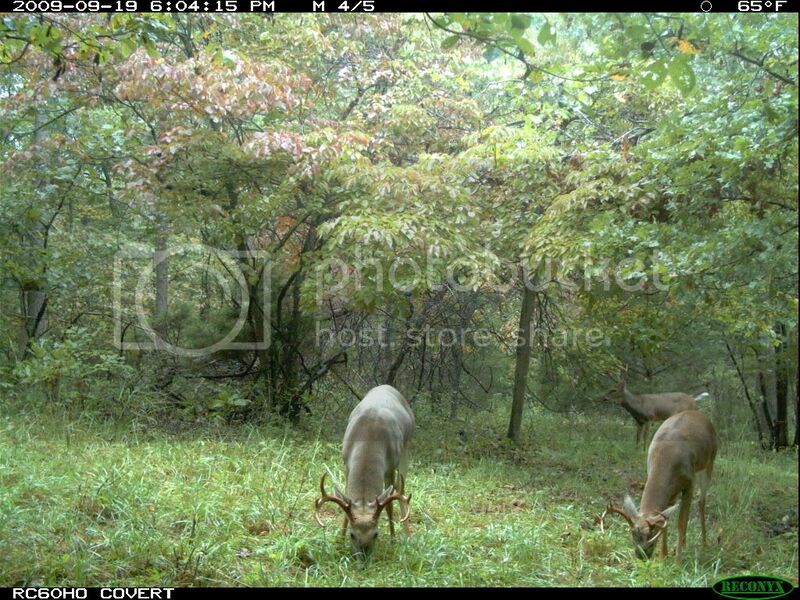 I passed up a really good 8 point the other night probably 20 inches wide, kind of kicking myself for not taking him, but rules on our farm is shoot a buck the year before, and you cannot take another for another year. Seems to work pretty good. Today would of been a good morning to have been out there i bet them deer were moving good with the cold weather. Saturday evening would have been good time to be hunting, I saw 10 as we were leaving our house to go to the movies! !......sometimes we gotta do things we DO NOT want to and Saturday was one of those times. Shannon those are neat pics. 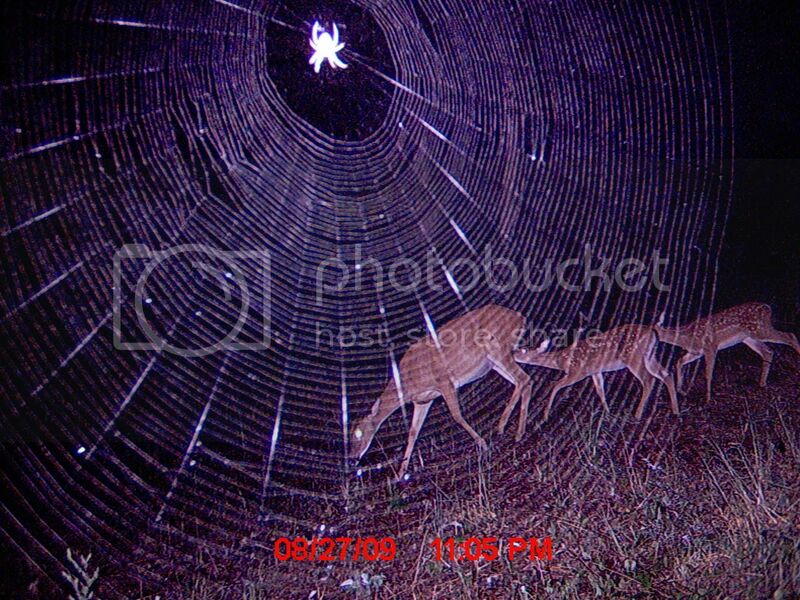 Especially the spiderweb! Sure hope you get one of those nice bucks.
" Those who can give up essential liberty to obtain a little temporary safety deserve neither." Last night------Climbed into the stand, untied by bow, activated my tracer nock on my arrow, knocked the arrow, hung the bow on the bow hanger, sat down, adjusted myself, stood back up, picked up bow, drew bow, and wacked a doe at 28 yds. Love hunts like this, I was in the stand for 10 minutes. I was showing one of my dads workers those pics and he said he should submit to an online contest. But I figured you already did. That was a really cool photo i would have voted for it! Skeeter-the contest was at the qdma site I told you about.